Discover the perfect write-in notebook to help your child craft their best short story in 500 words or less – ideal if they’re planning to enter this year’s BBC Radio 2 500 Words competition. 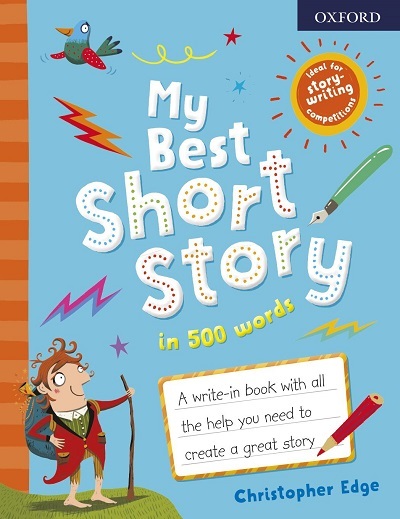 My Best Short Story in 500 Words features colourful illustrations, interactive prompts, top tips from bestselling children’s author Christopher Edge and Oxford word experts, and lots of space for drafting and editing the narrative, so your child will be writing not just one story, but dozens! To celebrate the release of this book and inspire young imaginations, we have five copies to give away to five budding writers! My Best Short Story in 500 Words has all the help your child needs to write a great story in 500 words, but if they had to pick just one word, what would it be? Tell us your child’s favourite word for the chance to win! To enter, simply head over to our Facebook page and complete the competition entry form. UK residents only. Entry closes at 11.59pm on Sunday 24th February 2019. In a format ideal for slipping into their school bag, carrying around the house or taking on holiday, this notebook is ideal for capturing ideas on the go, or putting in finishing touches at the end of the day. It’s perfect to help you encourage your child’s creativity and writing for fun, for homework or for competitions. His novel The Many Worlds of Albie Bright won several children’s book awards, including the Brilliant Book Award, and was nominated for the CILIP Carnegie Medal. The Jamie Drake Equation was also nominated for the CILIP Carnegie Medal, and was selected by The Times as one of the best children’s books of 2017. He is the author of How to Write Your Best Story Ever! 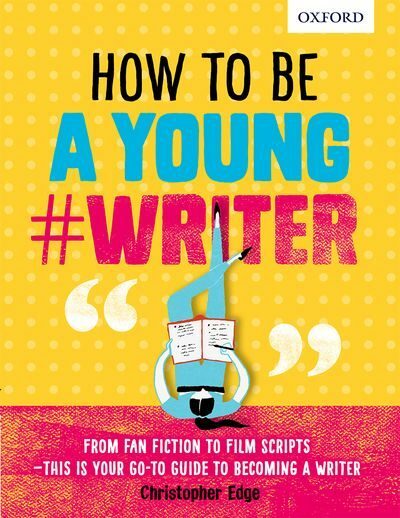 and How To Be A Young #Writer, inspirational creative writing guides for children and teenagers. Quiz: What kind of writer are you? For children aged 13 and under, this book is written in a fun, engaging, and inspirational style that will help all readers to see themselves as writers and to achieve their creative writing goals. 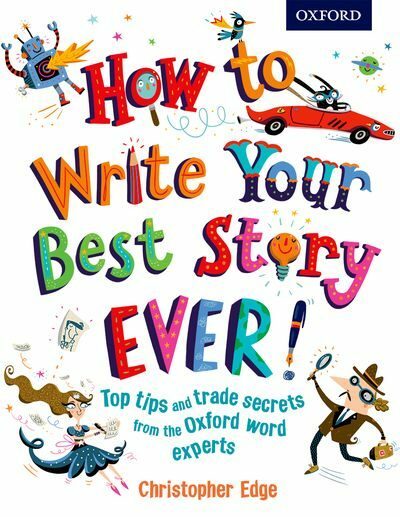 From how to write for your audience or for a specific purpose, to what words to use to best effect, this book gives children the tools they need to make writing an enjoyable experience. It is filled with tips on how to use weird and wonderful vocabulary, invent new words, and write powerful sentences using metaphors, similes, and idioms. For children aged 11 and over, this book covers all the key elements of plot, characterization, building a believable world, thinking about tone and style, weaving description into stories, and editing their work. Practical tips will get any struggling writer to beat the fear of the blank page and inspirational advice will help young authors to achieve their creative writing goals. It includes information on sharing stories and how to get people reading your work. This is not an ordinary dictionary. 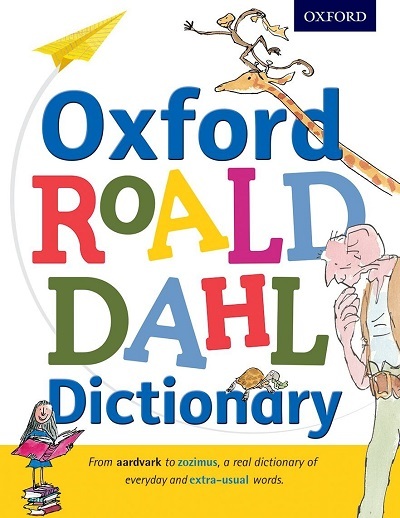 After all, you wouldn’t expect an Oxford Roald Dahl Dictionary to be ordinary, would you? Lots of dictionaries tell you what an ‘alligator’ is, or how to spell ‘balloon’, but they won’t explain the difference between a ‘ringbeller’ and a ‘trogglehumper’, or tell you why witches need ‘gruntles’ eggs’, or suggest a word for the shape of a ‘Knid’. This dictionary does all those things. All the words that Roald Dahl invented are here, with real citations from Roald Dahl’s children’s books and illustrations by Quentin Blake, to inspire and encourage young writers and readers.